The Betfair brand is owned and operated by Betfair Group plc, which launched in 2000 and is headquartered in London, England. Betfair began as an online betting exchange but has since expanded to a wide range of other services, including a casino, live casino, poker room and bingo hall. Nevertheless, the Internet betting exchange is the product Betfair is best known for, and it is now the largest such exchange in the entire world. The Betfair Exchange is different from the Betfair Sportsbook. Since it is an exchange, and not a conventional sportsbook, punters can establish their own preferred odds rather than settle for parameters established by the house. The Exchange is a marketplace that connects punters. There is no guarantee that proposed wagers will be picked up of course, but experienced bettors can usually secure ideal odds for the current market. The Betfair Exchange allows for both traditional and in-play sports wagers. The exchange also allows bettors to lay bets off, which means that they can cash in early or cut their losses. The Betfair Exchange is widely regarded as providing the absolute best odds for sports betting. We can offer an exclusive free bet bonus to all new players to the Betfair Exchange that is NOT advertised on the Betfair website! 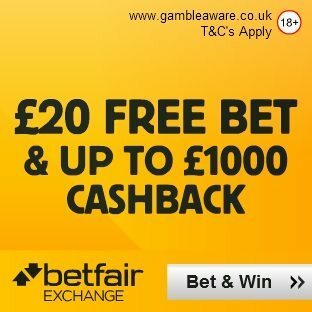 Click on this link and sign up to the Betfair Exchange, and receive an exclusive free bet worth up to £/€20. After registering your account, within 7 days, place a sports wager on the Exchange of at least £/€20. The wager must be settled within these 7 days. If you lose this initial sports bet on the Exchange, Betfair will refund that bet and provide you a free bet of £/€20. 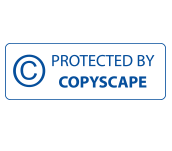 Your account will automatically get credited within 48 hours! If you win your initial bet, then you don’t receive any extra bonus from this offer. So no matter what, you will be getting a risk free £/€20 bet on the Betfair Exchange. In addition, you will automatically be enrolled in the Cashback €10 – €1,000 Promotion, which provides extra bonus money depending on how many Betfair Points are earned in your first 30 days after registering your new account. You accumulate Betfair Points with every bet placed on the Exchange at the rate of 1 Point for every €/£0.10 paid in commissions paid (if you’ve won) or implied commission (if you lost). Betfair Points are given out regardless of winning or losing your wager. Remember, you have 30 days to earn as many points as you can, and you will be credited with your cashback payment within 3 days (72 hours) of reaching each tier shown in the table above! In addition to the free bet from the Betfair Exchange, you may also receive a free bet from the Betfair Sportsbook. The Betfair Sportsbook offers all new clients a £/€50 free bet. To claim it, simply register an account, validate it, make an initial deposit and then make your first wager. Not all wagers are valid, so check the Betfair website for the current markets and bet types that are. Once a valid bet is made, Betfair will match that amount up to £/€50 within 24 hours. This free bet does not require a promo code and is applied to all new customers automatically! Click here to join the Betfair Sportsbook. Free bets are not available for withdrawal and must be used within 30 days of opening your account. A free bet can only be used once, so if you stake less than the total amount, you simply forfeit the remainder. If the free bet wins, the stake is not returned. You do, however, have full access to the winnings, and that money is pre-cleared, which means you can do with it as you wish, including withdrawing it. The Betfair Sportsbook is a traditional sportsbook. Traditional sportsbooks chiefly profit from the vigorish on wagers, and therefore establish odds that mitigate their risk as much possible. If a book is having trouble balancing risk for a particular wager, it may lay some bets off, which means selling it to another entity. A betting exchange differs in that the house takes no risk. Betfair simply establishes percentages for each market, and those percentages are used to determine the fees for facilitating wagers. Those fees are typically less than what the vig would be. The actual bets transpire between two parties that are both clients of the exchange. Those clients are usually individuals, but in some cases, it is actually a sportsbook picking up or laying off wagers. Betfair Exchange supports bets in a full range of sports markets. 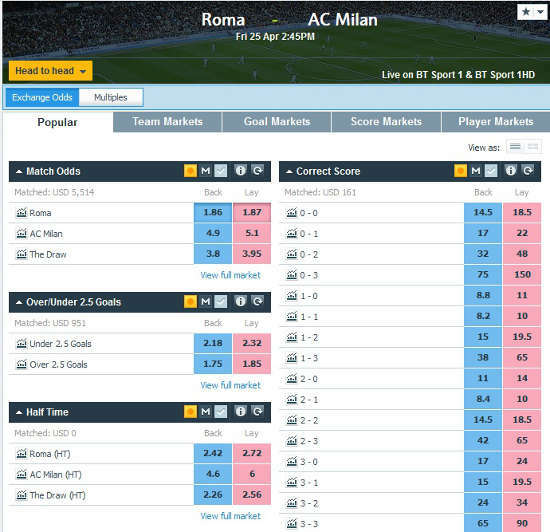 On the off chance a desired market is not available, the client can request it, and then Betfair will add it. Within a particular sports market, the bettor will see a listing of all available bets. The odds from the Betfair Sportsbook may also be present, and since a Betfair account is valid for any Betfair product, a client can opt to bet with the sportsbook seamlessly through the exchange. The bettor is not limited to these listings, however, and can instead post their own desired wager parameters in the hopes that another client will accept it. Select the market, such as football, horse racing or tennis. Then select the particular match or race that you want to wager on. Note the date and time of the item in question. Events in progress that are still available to wager on will be marked “in-play.” Back bets (bets for) are listed in blue, and lay bets (bets against) are listed in pink. Select the item you wish to wager on. The first item selected will start a betting slip. Selecting additional items will add them to the current betting slip. Click the I button to view the rate for the current market, which will dictate the fee associated with this betting slip. For each item on the slip, adjust the odds and stake as you wish. The slip will calculate your total liability, which includes any fees, as well as your potential profit on the fly. The Betfair Exchange is easy to use, but offers a lot of potential for the serious trader/bettor. Because it’s an exchange with moving prices, you have the potential to wager on both sides of a bet or market, depending on how the price moves, guaranteeing profits regardless of outcome. There is an entire world to explore on the intricacies and systems that people try to use to make profits on the Betfair Exchange. There are full-time, professional Betfair traders just like there are in stock exchanges and financial markets. But this doesn’t mean you are at a disadvantage against them. You can still place your sports bets with the best odds possible. While we can’t get into all the details of becoming a profitable trader on the exchange, we recommend watching this video to get an idea of what is possible on the Betfair Exchange. Betfair has apps available specifically for the betting exchange for most mobile devices, including Android, iPad and iPhone. Visit apps.betfair.com/mobile to see the options. Since Betfair supports third-party developers, you will usually find several or more apps that are suitable for your device. Each app provides a unique presentation, and you should choose the one most suitable to your betting preferences. The actual betting slip creation, however, is essentially the same as listed above regardless of the specific app used. Betfair will assess premium charges if the amount a client has paid in market rate is less than 20 percent of his or her gross profits. This is an important detail because it ensures Betfair a certain level of commission and can result in a big fee for big winners. There are, however, built-in exceptions to protect clients. All Betfair clients have a £1,000 lifetime allowance against the premium charge, and winnings from a single bet slip that accounts for more than 50 percent of a client’s lifetime gross profits are excluded from the premium charge calculation. Although there are many sportsbooks online, there are few betting exchanges. Not only is Betfair one of them, it is the biggest and most diverse. Betfair also uses a unified account structure, which means that your exchange account is good at the sportsbook, casinos, poker room and so forth. Furthermore, cash-outs at Betfair are hassle-free and usually occur within 24 hours during standard business hours. Click here to sign up to Betfair today! You can read about other Betfair offers on our Betfair Promo Code page here. Find out about the current Betfair no deposit bonus here.